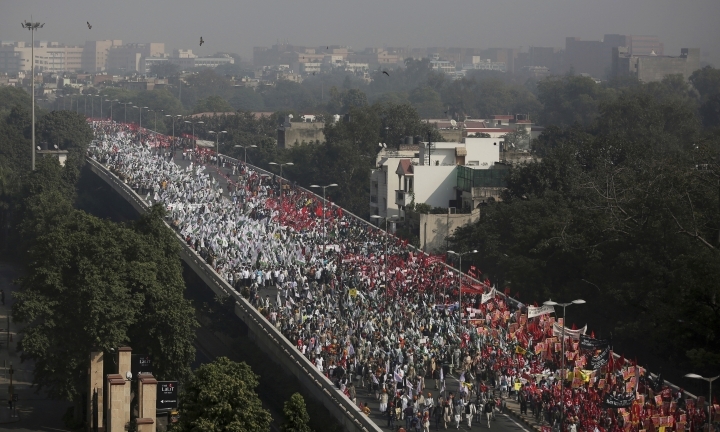 NEW DELHI — Thousands of farmers marched to India's Parliament on Friday demanding higher prices for their produce and a government waiver on their farm loans to alleviate hardships. 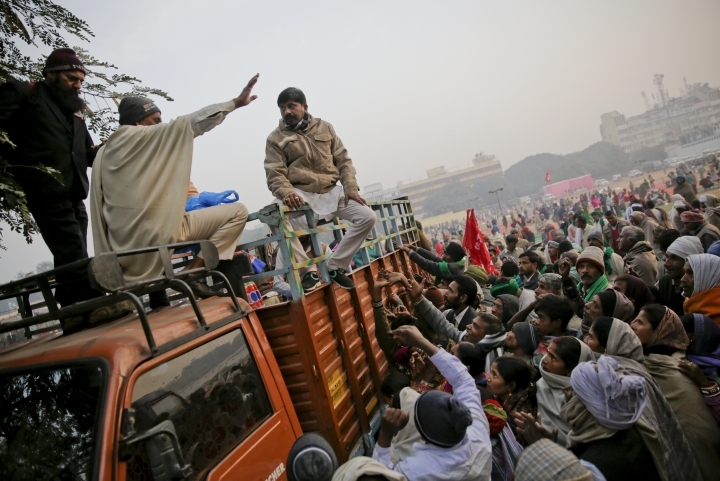 Waving red, yellow and green flags and banners representing their organizations, the protesters also called for lowering the prices of diesel and fertilizers and blamed the Hindu nationalist government for hardships caused by years of declining earnings in the agriculture sector. Several farmers carried human skulls they said were of farmers who had killed themselves due to deep debt. Their widows also joined the protest march. 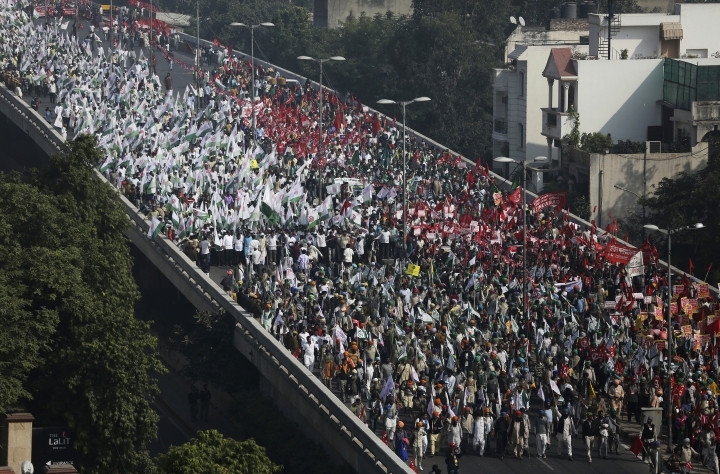 They carried banners accusing Prime Minister Narendra Modi's government of not fulfilling its promise to ensure they earn at least one and a half cost they incur in producing their crops. The protest demanded that the federal government increase the minimum support price it fixes to buffer farmers against sudden slumps in the market price. It is the rate at which the government buys farm produce when there are no other buyers in the market. Rain-dependent agriculture employs more than half of India's 1.3 billion people, but shrinking earnings mean it now accounts for only 15 percent of India's economy. Failed harvests force poor farmers to borrow money at high interest rates to buy seeds, fertilizers and food for their cattle. They often mortgage their land and, as debts mount, some are driven to suicide. "Evidence of agrarian unrest has been growing and farmers have come to the conclusion that only agitation and not reasoning will lead to action on their problems," he said in a statement.